Is Your Website Missing on Google Local Listings? We know that Google has been refining its search algorithm so it can return the most relevant results for users. Location is one of the strongest relevance factors, so when we search for something local, Google will try to prioritize local results over things that are more general or nationwide. This is exactly where small law firms or solo practitioners can grab the opportunity and win over their much larger competitors. 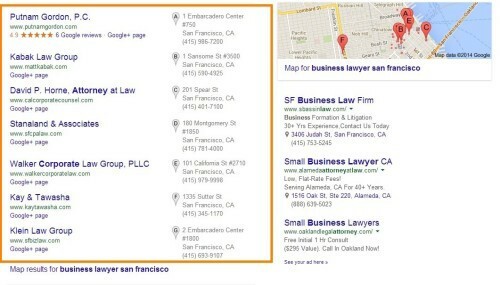 When you search for “business lawyer San Francisco,” the block of firm names and addresses on the left side of the page are the Google Local listings. These are separate from regular search results that are only webpages. How do you get listed in this block? Getting into this block is easier than ranking your webpages, but it still takes quite some effort. You need to have a Google Plus page for your business first. Then you should update your business information on the Internet, which can be painstakingly difficult. The longer you are in business, the more outdated information there is on the Internet. How can you possibly correct every mistake out there? You cannot. Therefore, keeping major local directories up to date is very important. This work includes Yelp (we previously talked about Yelp’s value as the top local directory), Yahoo Local, Bing Local, Yellow Pages, etc. What happens if you don’t address the outdated information on the Internet? First of all, your client may be confused or misled by inconsistent addresses. Furthermore, having different addresses listed for your company online will negatively affect your website’s search engine ranking. Many times it simply prevents your business from appearing on Google Local listings. Is there any tool that can help you identify which directories to check and correct? Fortunately, Moz Local can pinpoint which directories need to be corrected. 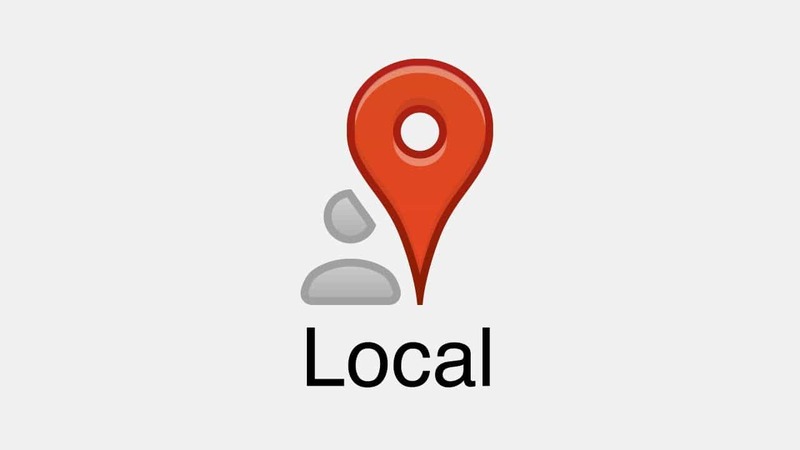 Hopefully you find this post helpful in understanding how Google Local listings work. I sincerely hope all of you take advantage of the low hanging fruit of SEO and at least take a spot in the local search. Then we can talk about how to rank your individual webpages.